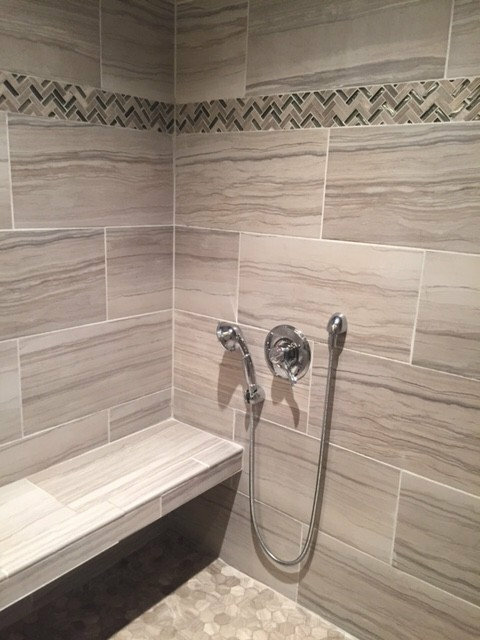 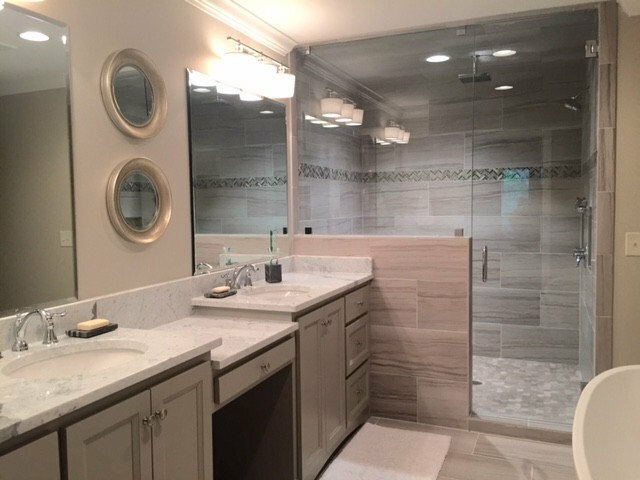 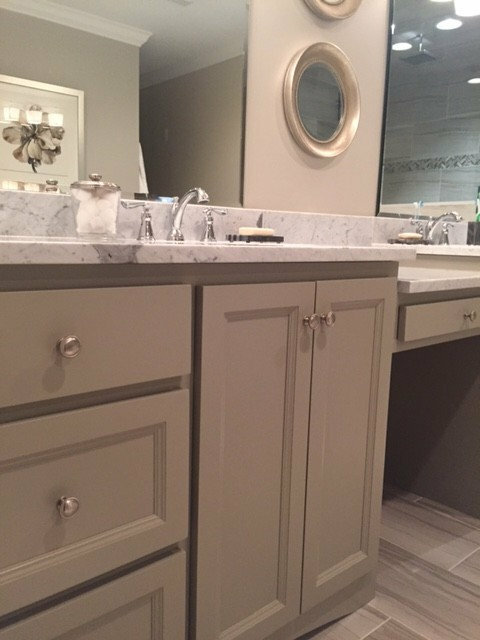 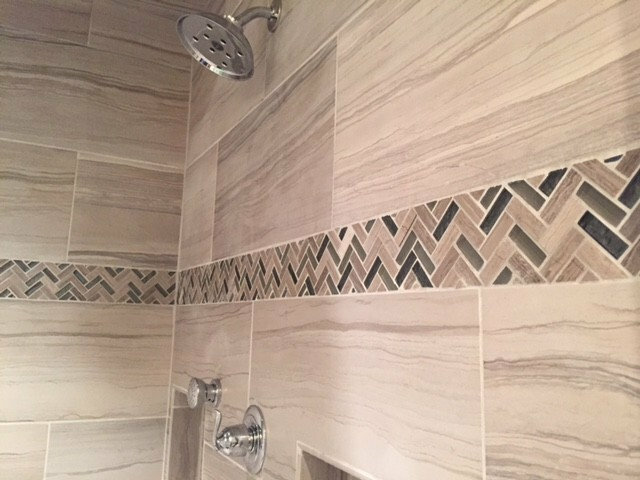 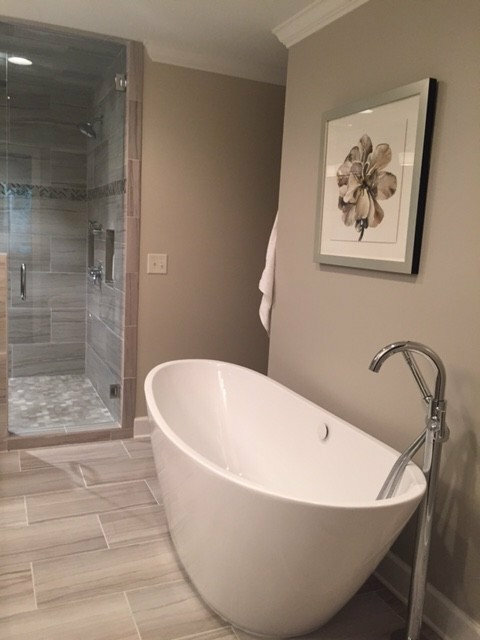 This marble-like ceramic tile, mixed with Carrera marble countertops, herringbone mosaic tile, and soft gray painted cabinets creates a sleek, yet serene master bathroom. 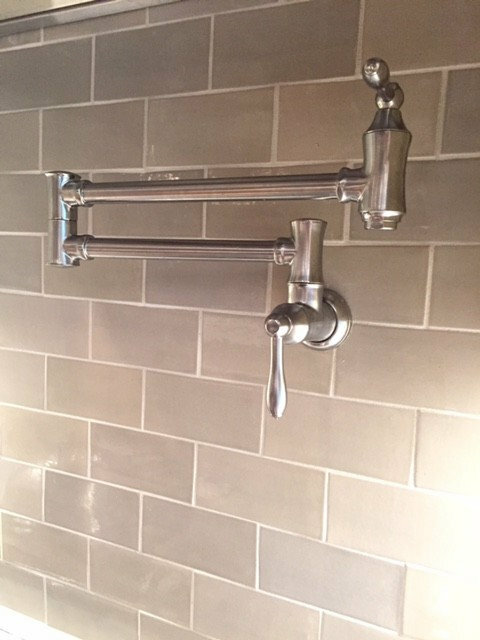 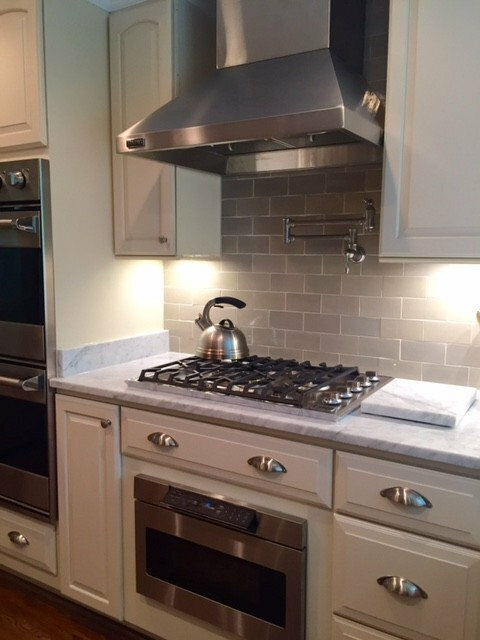 A blend of sleek appliances combined with the classic warmth of hand painted subway tile and Carrera marble. 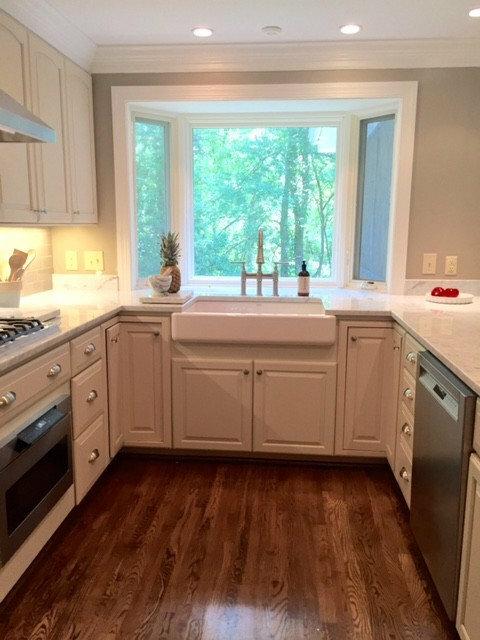 A blend of sleek appliances combined with the classic warmth of hand painted subway tile for the backsplash, hardwood floors, and Carrera marble countertops.